Hey guys! How’s everyone been? I’ve been crazy busy recently!! It’s been a hectic couple of months for me, with work, blog stuff, and in case you haven’t heard, I’m currently taking part in an online singing competition called Hear Me Sing, and the competition schedule has been really intensive with weekly rounds of eliminations. I’ve also started gigging more recently and although I super enjoy it, it’s definitely been very tiring and draining for me to handle so many commitments all the time! Keeping my game on and staying abreast of everything is a challenge, but I’m trying to cope as best as I can! What I hate most is when that time of the month rolls around, and I have to deal with uncomfortable menstrual symptoms on top of my already busy schedule. I’m sure all the women reading this now agree with me that periods are a seriously sucky thing to go through. On top of feeling lethargic and low on energy, I also get uncomfortable menstrual cramps and lower back aches when my period arrives, and it really kills my mood. It’s so hard to have to go out for events, meetings and work when you’re feeling physically lousy due to menstrual discomfort! 🙁 You must have experienced this before as well! 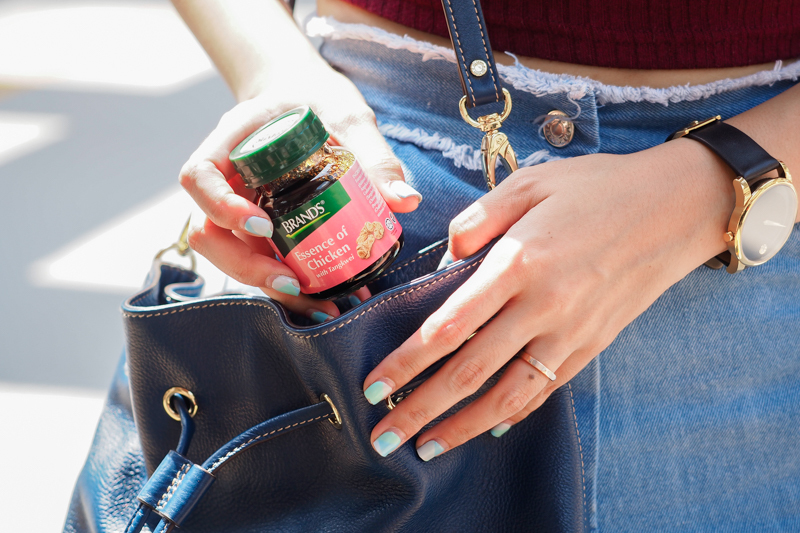 I’ve never really given health supplements a try, but when I knew that BRAND’S® Essence of Chicken with Tang Kwei is formulated especially for women and to help with easing menstrual symptoms and improving overall health, I was really keen to find out if it really works! BRAND’S® Essence of Chicken with Tang Kwei is an exquisite combination of BRAND’S® Essence of Chicken with Traditional Chinese Medicine herbs, including Tang Kwei, which is an excellent blood tonic! Tangkwei, or Dong Quai, is a well-known TCM herb that helps ease menstrual stress, promote blood circulation, strengthen the body, and relieve fatigue. It is also beneficial in combating anaemia and replenishing blood loss after childbirth or surgery, and it helps to relieve uncomfortable menstrual symptoms! I took BRAND’S® Essence of Chicken with Tang Kwei over the course of two months, 14 days before my monthly period comes. 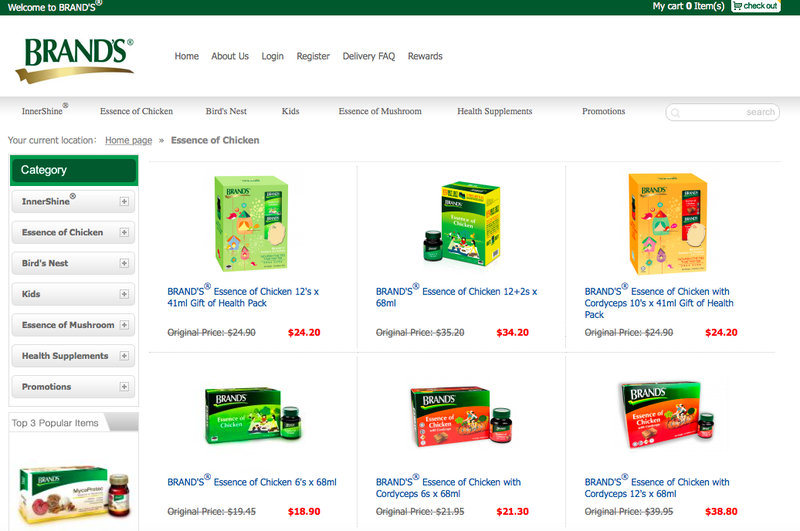 That’s two boxes of BRAND’S® Essence of Chicken with Tang Kwei for each monthly cycle, after which you can then stop taking it when your period comes until 14 days before your next period! before consumption, which makes it taste like herbal chicken soup! You can warm it up by placing it in hot water for a few minutes 🙂 It can also be taken chilled or at room temperature, depending on your preference. 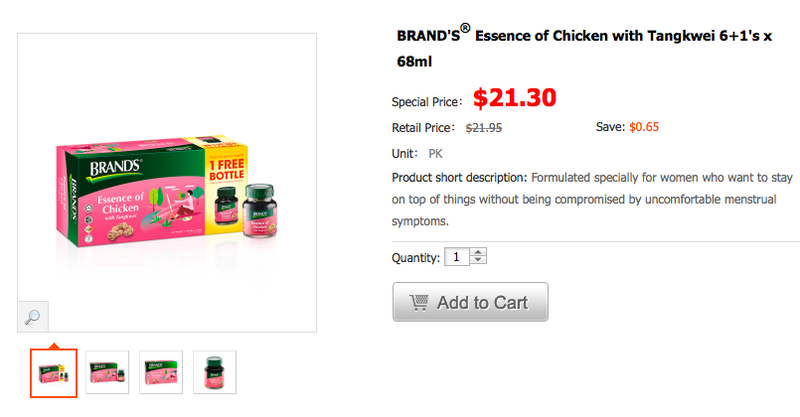 BRAND’S® Essence of Chicken with Tang Kwei really works! After two weeks of taking it daily, I felt that my usual menstrual discomfort was greatly reduced when my period arrived. I wasn’t feeling as crampy and tired, and felt more energetic and active despite my period. I also feel that my general well-being has improved! I feel more alert and with higher energy levels on a daily basis, which helps so much to keep me perky and in good spirits. Purchasing it online is just as easy too! You can head over to BRAND’S online website here where you can buy all your favourite BRAND’S products and have them delivered straight to you! 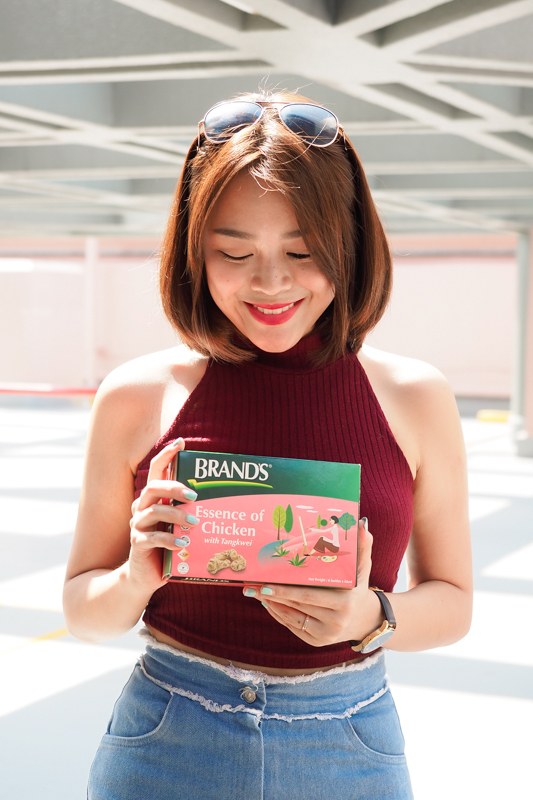 I’m all for purchasing via BRAND’S online, because apart from saving the hassle of having to purchase the products physically and lug them home, they can now be delivered straight to my doorstep! PS. BRAND’S online also has a rewards system that allows you to earn points with every purchase, entitle you to monthly themed promotions, special events only for members, and enjoy birthday privilege and birthday gifts too! Yay to happier and better well-being, and great days without the discomfort of monthly periods! All thanks to BRAND’S® Essence of Chicken with Tang Kwei!